Sally was club president for the 2016-17 year. Her tenure included advances in club administration through policy review and refinement and visioning for the future. She has been a member of the club since 2000. She is a valued member of Rotary District 6220’s team serving on its foundation committee, scholarship committee and chairwoman of the grants committee. In the local club, she leads the contributions committee, is secretary for the club’s Rotary Fund, continues to act as chairwoman of the visioning committee and serves on the budget committee. Her expertise in grant writing has provided funds for playground equipment at Lions Field in Marquette Township and the greenhouse at Great Lakes Recovery Center. As a Paul Harris Fellow, she supports Rotary’s many international projects. After moving to Marquette in 1989, she became very active with the Marquette Beautification & Restoration Committee, leading the “Petunia Pandemonium” several times. She recently provided leadership for the Father Marquette Park’s extensive restoration. She is also active with the hospital’s volunteers group as chairwoman of the fundraising committee, whose largest project was raising $25,000 toward the bloodmobile. She also serves as vice president and membership chairwoman of the Marquette-Alger County Medical Alliance, and stays active in her book club as well as at St Michael’s Catholic Church, and in PEO where she is recording secretary and past president. Van Abel is among the founders of the YMCA, serving as treasurer until 2010 and returning to the board to help with its transition back to fiscal health. She currently serves on the board of the Northern Michigan University’s College of Business Dean’s Advisory Board and is a strong supporter of the Lake Superior Leadership Academy. 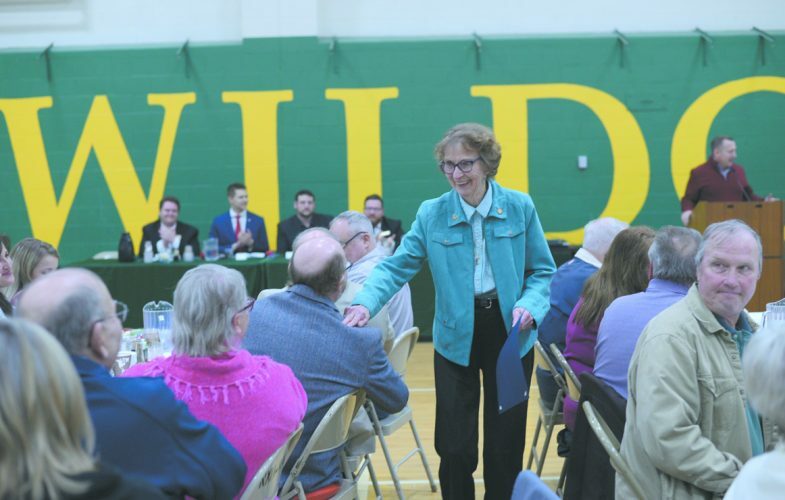 She instituted the internship program through NMU and Marquette Senior High School and supported it by employing a part-time student for the last 10 years. As an employer, she encourages membership in service clubs and allows employees 4 hours per month to volunteer. She was recently appointed chairwoman of the Independent Insurance Agents National Council for Best Practices covering 35,000 insurance agencies. Past service includes membership in the Marquette Ambassadors, the Marquette Kiwanis Club, NMU Insurance and Actuarial Sciences Advisory team, board member of the Marquette Community Foundation, and the Finance Committee for St. Michael’s Catholic Church. Markey’s outstanding academic credentials include a 4.33 grade point average and amassing 32 college credits though advanced placement and dual enrollment classes. In athletics, she is on the high school ski team, volunteers as a ski patrol member and is certified as a National Ski Patrol Outdoor Emergency Care technician. She is a lector at St. Michael’s Parish and helps with several church programs. Internationally, she traveled to Puerto Rico last spring to help with community clean-up following hurricane Maria. She is active with the Venture program of the Boy Scouts being president of Crew 356 and working as a lifeguard and merit badge counselor at Camp Hiawatha the past two years. She aspires to study International Studies in college and serve in the diplomatic corps. The Millers are owners of Superior Collision for their significant support of community agencies with a focus on alleviating hunger and assisting youth. Their business has been a major sponsor of the Rotary Golf Outing for several years.